Schiller’s Liquor Bar closed out its last night Sunday with cheers, confetti and cocktails galore. The bistro, which in May announced that it would shutter due to a rent hike, remained crowded well past its normal midnight closing hour and food was also served late. Longtime patron Michael Reynolds, who also co-owns neighboring Black Crescent, held court at the center of the bar where he stood on the stretchers of his stool, cheered, and liberally passed drinks to friends. 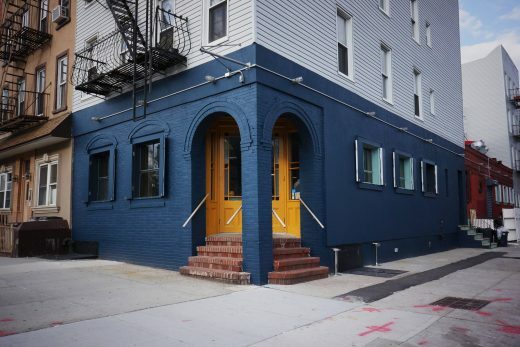 About an hour ago, Williamsburg bar and performance space Over the Eight announced on Facebook that it’ll be closing its doors at the end of next month. Netflix continues to clobber the local movie-buying landscape (R.I.P., Photoplay). DVD Funhouse in the East Village is the latest casualty. Employees said the store has another month or two until they lock up for good.